Do you or your children need braces? We can help! Carolina Dental Arts is the place to come for braces in Raleigh. We have what it takes to make you and your family feel comfortable as we walk alongside you through the entire braces process. 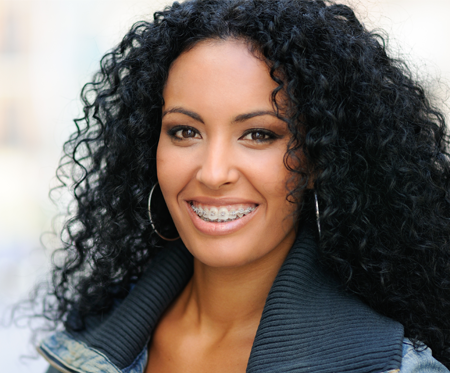 Braces can completely change the way you look and feel for the better. Our orthodontic services in Raleigh will help you make an informed decision about all the options that you have concerning your quality orthodontic treatment. WHY DO YOU NEED BRACES? • Straighten Teeth—The most common reason for anyone to get braces is to correctly align teeth. Straight teeth make confident smiles. • Correct a Bite over Overbite—In severe cases, a person may find it difficult to chew certain foods, due to improperly aligned teeth. Braces will correct this problem forever if teeth are properly maintained. • Prevent Breathing Problems—The roofs of our mouths change in shape as we age, causing breathing problems later on in life. Braces can help prevent this in some cases. Proper orthodontic treatment is a personal and involved process that our dentists do not take lightly. We will give you one-on-one attention and expert advice so that you can be confident in the treatment you receive from us. Whether you are getting adult braces or children's braces in Raleigh, we've got you covered with the most professional orthodontic services and years of experience. We are proud to offer the revolutionary Six Month Smile in Raleigh. This treatment is usually complete within six months. This treatment features barely noticeable, tooth-colored brackets and wires. Carolina Dental Arts is setting the standard for Raleigh orthodontics. Come see why! Call us today for a free consultation. We are proud to serve Raleigh, North Raleigh, Cary, Morrisville, Knightdale, Durham, Garner, Apex, Holly Springs, and RTP.